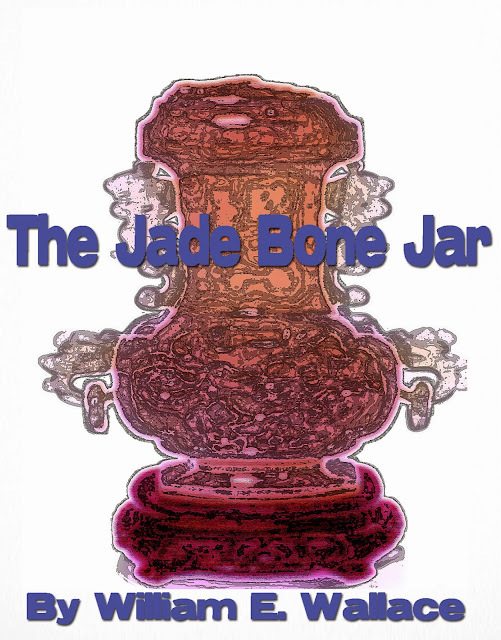 Pulp Hack Confessions is taking this week and the next one off to complete my new novel, The Jade Bone Jar. When we get back on Saturday, Jan. 11, we will have fresh material, including a review of Martin Cruz Smith's latest Arkady Renko adventure, Tatiana, and a look at Siege by Simon Kernick, a nail biter about terrorists taking over a London hotel. We also will have the first of several excerpts from The Jade Bone Jar, detective yarn set in Oakland, California immediately after World War II that features a new character: ex-Marine and Honolulu cop Kevin O'Conor. If you like stories that feature war profiteers, inept FBI agents, international criminals and the theft of personal property from interned Japanese-American citizens, you will want to read this one. John Purkiss, the "Ratcatcher" of Tim Stevens' eponymously named debut novel, is back on the job in Stevens' excellent sequel. Those who would threaten British security had best be at the top of their game if they plan to escape his relentless gaze. 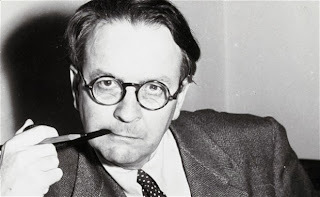 Purkiss, as you may recall from my earlier reviews of Ratcatcher and Delivering Calaban, is an ex-spy who works "off the books" of the British intelligence services, tracking down moles and traitors. He gets his assignments from another idiosyncratic intelligence professional: an older veteran of British espionage named Quentin Vale who, as a black man in the service, is something of an oddity. Purkiss collects the evidence necessary to put the baddies in prison for long sentences. When necessary, he kills them outright, though with more regret and circumspection than his fictional counterpart, James Bond, the superspy created by the late Ian Fleming. 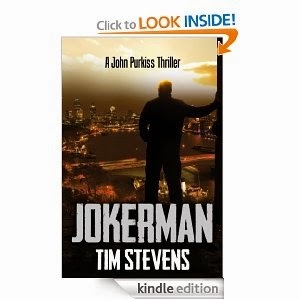 In Jokerman, he ends up on the case from a slightly different angle: he is asked to find the title character, a top-level traitor at MI5, the larger and better funded of Britain's two espionage agencies. And his warrant for the job comes from Five's deputy director, a woman named Maureen Kasabian. 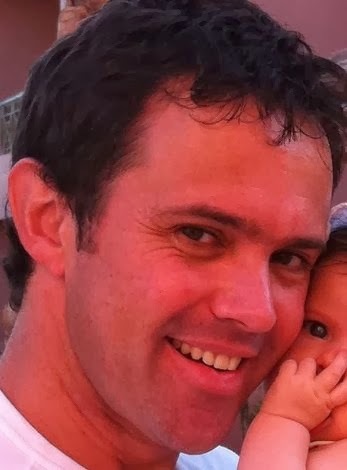 Initially Purkiss declines to hunt Jokerman, pleading that anything he finds will be viewed with suspicion within English intelligence circles because he is a former member of MI6, the smaller of the two agencies and its ferocious rival. But when a sniper attempts an assassination at Purkiss' home, in the process critically wounding a Purkiss associate named Kendrick during a chess game, the Ratcatcher is determined to ferret out the person behind the attack. Make no mistake, Jokerman is a classic page-turner, the kind of book that will have you reading through the night to find out what happens next. The action is slam-bang, starting with the initial assassination and proceeding through a series of shootings, bombings and hand-to-hand engagements that put Purkiss at risk of death. In one brief section only a few pages long, four people are killed and Purkiss ends up in a struggle for survival with one of the villains. The paranoia is heaped on by the dump truck load, with menace provided by a private security company that operates in the Mideast, a group of former British paratroopers, and a coterie of untrustworthy spies who come under suspicion by Purkiss as the plot zig-zags. "At the top of a narrow flight of stairs that doubled back upon itself, he found a door with an opaque glass panel, like the entrance to a private eye's office in a noir film. Cheap lettering had been scratched off the panel, leaving a ghostly trace. Beyond, dark and blurred shapes shifted." There doesn't seem to be an unnecessary word in this passage, which nicely establishes a note of mystery with its "ghostly trace" of scratched-off letters (what did they once say? 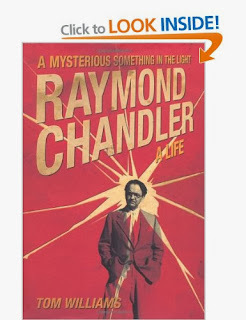 ), its "dark and blurred shapes" behind a frosted door "like the entrance to a private eye's office in a noir film," and the touch of onomatopoeia in the words "shapes shifted." In three sentences -- a mere 53 words -- he excellently manages to put the reader in the proper mood for the brutal clash that occurs a few sentences later. As a thriller writer myself, I bookmarked this passage for future study. I admit that I am jealous of Stevens' ability to come up with descriptive passages like this, not to mention believable characters, plausible plots and credible dialog; that he seems to be able to do so time after time drives me half mad with envy. As the hunt for the Jokerman proceeds, Stevens manages to double-cross his readers using red herrings to hide the identities of two villains so effectively that I literally gasped when they were revealed. To me this is a rare treat: most thriller writers handle this type of plot twist in a clumsy manner, telegraphing the actual baddie so obviously that only a dolt falls for the fakes. Not Stevens. Some readers may feel Stevens takes up too much time and space in Jokerman explaining the rivalry between the two British intelligence services. (Suffice to say that the clash between the two is not only bureaucratic but also cultural; the closest thing we have to it in the U.S. is the tenuous and unfriendly relationship between the FBI and the CIA). But the rivalry serves a critical function in the plot of the novel by clearly establishing that the agencies are constitutionally incapable -- and unwilling -- to engage in the close cooperation finding and stopping a high-ranking traitor would otherwise receive. I consider Stevens one of the best writers of spy thrillers working today. The previous two Purkiss novels are right up there at the top of a genre that boasts more than a few of the greatest authors who have ever strung together a declarative sentence, including John Le Carre, Graham Green and Adam Hall. Jokerman follows them into the canon. I simply can't recommend Tim Stevens' stuff enough! Written by Darabont and John Buntin. Starring: Jon Berthal, Milo Ventimiglia, Edward Burns, Alexa Davalos. As a fan of noir, I was really looking forward to Mob City. The trailers and the advance flack made it sound like it could be the best crime drama since Private Eye (Andrew Yerkovich, 1987-1988) or Crime Story (Michael Mann, 1986) -- a sort of television version of L.A. Confidential, the dark and steamy 1997 film directed by Curtis Hanson that starred Kevin Spacey, Russell Crowe, Kim Basinger and Guy Pearce. The program was supposed to be based on the non-fiction book L.A. Noir by John Buntin, an excellent primer on the development of the underworld in Los Angeles in the late 19th and early 20th centuries, when racketeering was controlled by WASP opportunists and the city was billed as a purely white haven for Easterners and Midwesterners eager to escape the teeming ethnic enclaves of cities like Boston, New York and Chicago. The pre-release buzz was that Buntin had his fingerprints all over the show. 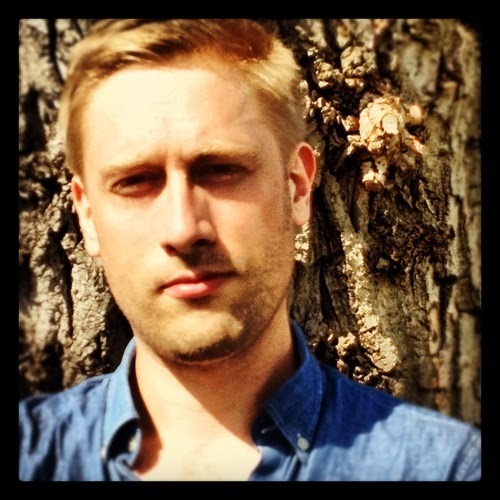 He is even credited as co-writer of the first six episodes. To me, that was very good news indeed: Buntin’s book, which was previously reviewed here, plays off the decades-long battle between Mickey Cohen, who came to be the public face of L.A.-area gangsterism, and Los Angeles Police Chief William Parker, who made his goal the elimination of all mob activity in the city. Not that Los Angeles was ever the crime-free paradise conjured in the alcohol-fevered mind of Bill Parker or portrayed in advertisements and magazine spreads by developers and promoters, or: the city had more than its share of crime, much of it as highly organized as that controlled by any Mob family in New York or Philadelphia. The main difference between the City of the Angels and its counterparts in the East and Midwest was that the rackets – gambling, prostitution and drugs -- were all run by White Anglo Saxon Protestant boosters. Parker was simply trying to drive out the Jews and Italians so the old guard could resume control. Parker brought a variety of methods to bear on this campaign, not all of which – including wiretaps that showed mob attempts to manipulate city elections and an underworld plan to divide the city up into gang-controlled markets – were strictly legal. In response, Cohen suborned a major part of the Los Angeles Police and Sheriff’s departments, using cops as errand boys for his criminal enterprises, a protection service for his rackets and a pipeline for information from City Hall. 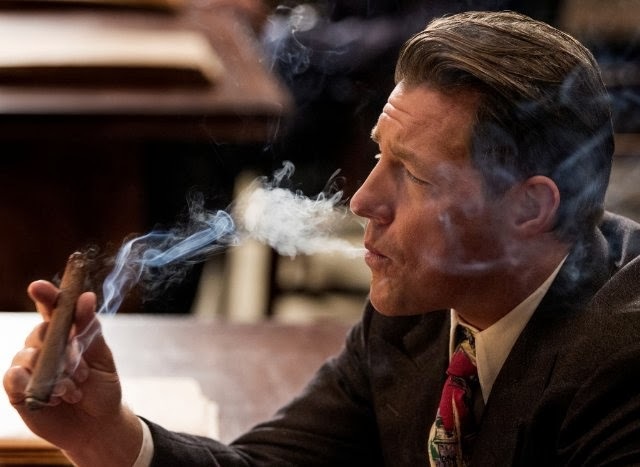 I figured that with interesting villains like Cohen (Jeremy Luke) and Bugsy Siegel (Edward Burns) and a flawed hero like Parker (Neal McDonough), who was an alcoholic and suffered life-long marital problems, all the program had to do was stay within the framework of Buntin’s book to be a supremely entertaining drama. Teague is hired by a comedian with mob ties, Hecky Nash (Simon Pegg in a special guest appearance), to provide protection for him in a blackmail scheme. Nash has the negatives of photographs that are either embarrassing or incriminating to somebody in Siegel’s organization. In a meeting attended by Teague and Nash, two of Siegel’s goons, Ace Cooper (Yorgo Constantine) and Syd Rothman (Robert Knepper) swap $50,000 for the negatives. After they leave, Nash is gunned down by Teague for reasons that are not disclosed until the second episode. The blackmail scheme puts Teague into contact with Jasmine (Alexa Davalos) who is Hecky’s girlfriend – or was; this point is left unresolved at the end of the second episode. She is a camera girl at Cohen’s nightspot, the Clover Club, and snapped the photographs Nash used in his extortion plot. She appears to have more pictures that will play a role in a later episode of the program. There is plenty of gun play and violence in the first two-hour chunk of the show, but at the end of the second episode, surprisingly little has actually happened. Part of this is the fault of demon backstory – introducing the main characters takes time that could have been used to flesh out the various people who populate the cast or advance the plot. The slow pace is only part of the problem. In addition, the characters around whom the plot revolves are as lifeless as the zombies in Darabont’s other hit TV show, The Walking Dead. Some of them are fictitious, like Teague, Nash, Jasmine and Syd Rothman, who appears to be an amalgam of Harry “Hooky” Rothman, an actual Cohen lieutenant, and some unnamed member of Siegel’s “Murder Incorporated” gang from New York. Others, like Cohen, Siegel and Parker, are actual historical figures who have been dressed up a bit for the show. There are lots of pained looks, sneers and bittersweet smiles from these characters, but there seems to be little inside them. This is supposed to be set in Raymond Chandler’s Los Angeles, but the witty dialogue you would find in a Philip Marlowe story is largely absent here. Here’s a man engaging in a criminal act – extortion – and he is complaining about how rotten Los Angeles is under its glitzy surface. It’s an ironic thought, but it isn’t delivered with a hint of irony. Instead it is put over in a dull and declarative fashion that makes the character, an associate of criminals, sound like a prude. Here it really isn’t the writing that sabotages the program – it is the witless direction. Someone besides Darabont might have been able to get Pegg to read the lines in a way that at least made him sound aware that his character was contributing to the moral decay he decries, but Darabont apparently hadn’t the vision or the chops to shade the character this way. He’s spent too much time with the walking dead, I guess. The consequence is, Nash sounds unhip and whiney, like someone who legitimately believes their problems are caused by somebody else. Why bother to get a guest star of Pegg’s caliber if you are going to throw him or her away on a part so badly drawn? 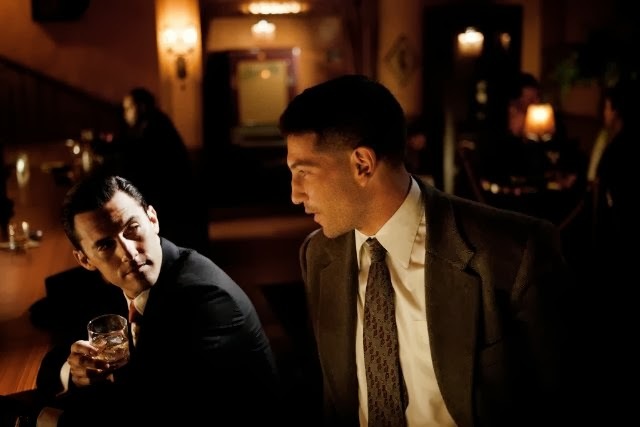 Despite the weak characterizations and the do-nothing storyline boasted by the show’s first two hours, there is plenty to look at and listen to in Mob City. The program is beautifully filmed in a way that takes advantage of a wealth of period detail: the hand-painted neckties are as garish and unsophisticated as the ones that hung in my dad’s closet; the cars are beautiful and don’t have a scratch to mar their period paint jobs; the alpha males have just enough five o’clock shadow to look tough and mean, and the streets are constantly slicked with rain – so much so that by the end of the second episode, the viewer begins to wonder why Los Angeles is located in the middle of the desert instead of a tropical jungle. The show also makes splendid use of neon tube art. Almost every scene seems to occur at night, and every frame of film is illuminated by the colorful signs of night clubs or dazzling reflections in pools of still rainwater. Another terrific touch is the soundtrack, which includes such period jazz standards as “Night in Tunisia” and “You Don’t Know What Love Is.” It is worth watching the program for the visuals and the tunes alone. But its good looks and attractive music aside, Mob City is no replacement for Private Eye, which managed stylish visuals and a solid period soundtrack, but managed to weave them together with intriguing plots, nicely drawn characters and witty dialogue worthy of a Chandler or his successors, Ross MacDonald or James Ellroy. Crack L.A. Confidential, The Big Nowhere or The Zebra-Striped Hearse if you are looking to kill a couple hours with stylish and satisfying noir; you will find them a lot more interesting and fun than Mob City. Or just pick up a copy of Buntin’s book. Not only is it better than the TV series it inspired, you learn some actual recent history while you are reading it. Ben and Susan Stevenson live in Wintersville, Ohio, with their two sons, Thomas and Julian, a close-knit family in a village where everybody seems to know their neighbors and few secrets go undiscovered. Their small-town life is so low-key and excitement free that it seems to be patterned on a Norman Rockwell painting: Ben is the county coroner, a medical examiner charged with determining the cause of death in cases where the victim is not under a doctor's care; Susan is a respected physician at a local hospital. They are important figures in the community -- well-known and highly valued by their fellow residents. And then a grisly, savage murder occurs that shatters the illusion of their idyllic life and threatens to tear the family apart. It will soon be followed by another hideous attack more violent than the first – and a third which is even worse. As medical examiner, Ben must work closely with County Sheriff Sam Garson and two of Garson’s investigators, Detectives Carl Schroeder and Danny Hunt, to gather and analyze the forensic evidence in the case and identify the killer. It’s no easy task as a number of red herrings quickly appear to complicate the case; for example, one of them, a powerfully built and severely mentally ill man who identifies himself as "Harold Matthews," shows up immediately after the second victim is attacked. Adding to the suspense, the murderer seems to be stalking Stevenson’s own family; he even leaves the dismembered hand of one of his victims in a bag leaning against the wall of the coroner’s office as a direct challenge to the pathologist. The astute reader will very likely realize who the killer is before the cops and Stevenson do, but just knowing whodunit will not reduce the book's thrills: this is one of those suspense novels in which the reader is literally kept on the edge of his or her seat right up through the last page. 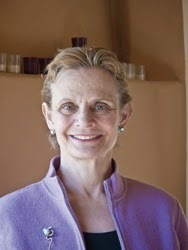 Author Burley is an emergency room physician in Northern California who once worked in a small town like Wintersville. Although he is not a pathologist, he brings considerable story-telling talent and medical expertise to bear on this gripping debut thriller that holds the reader's interest from its very first page. With one exception his characters are well-wrought and his narrative is solidly constructed and believable. 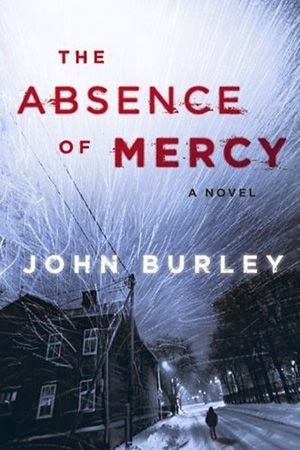 John Burley's first thriller, The Absence of Mercy holds the reader's interest from its very first page. Still, Absence of Mercy is a first book and Burley makes a number of rookie errors in it. To begin with, on two different occasions he drifts into the “Gray’s Anatomy” school of mystery: piling up unnecessary medical detail until the reader begins to founder. This copious technical information adds little to the story and could just as easily be glossed over. It is almost as if Burley doesn't trust his readers and feels he must help them along by feeding them a diet rich in Greek and Latin medical terminology to make them believe he knows what he is writing about. Burley also tends to repeat himself, particularly at the beginning of the story. For example, after introducing Sam Gargan, Burley reminds us how tall, powerfully built and formidable the sheriff is five times in less than ten pages. He manages to get control over his repetitious style as the story continues, but it initially gives the reader the impression that Burley is stumbling and unsure of where he wants his story to go next. Finally there are small technical glitches in Burley's novel that tend to distract the reader from his otherwise first-rate story-telling. For example, in his introductory passages about Gargan, Burley can't seem to decide whether the lawman is Wintersville's chief of police or the county sheriff. As anyone who has read much American crime fiction is aware, there is a major difference between the two jobs: sheriffs are county-wide officials who patrol and enforce the law in unincorporated areas; police chiefs are municipal department heads who have primary authority in a specific incorporated city within a county. When he refers to Gargan by both titles, Burley forces the reader to backtrack to determine whether he has simply misidentified the man or is talking about a new character who was not mentioned earlier in the story. In a thriller like this one that largely depends on pace to sustain its suspense, anything that draws the reader away from the story line, even for a moment, tends to sabotage the narrative. Setting aside these errors, Absence of Mercy is a first-rate page-turner -- good enough, at any rate, to receive the National Black Ribbon Award from Book-of-the-Month Club. Burley handles descriptive passages well, especially in his account of the first murder, a scene setter that could easily have sabotaged the entire novel if rendered poorly. He conjures a real sense of the community in which the action takes place and -- with one exception -- does an excellent job of investing his characters with real personalities that make them rise up off the page. His dialog is generally solid except for a couple of passages that are rendered in rather clumsy dialect that lack the verisimilitude of the rest of the book. What really sells the novel to me are passages of fine writing that are sprinkled throughout the text like little surprise packages for discerning readers. In the passage introducing Sam Gargan, for example, Burley writes, "the large man seemed to lean against the building with enough purpose to make one wonder whether he perhaps moonlighted as a structural support beam for the [coroner's office's] front exterior facade." Later a man shows up to identify the body of the first victim and suddenly realizes he is going to have to tell his wife that their son is dead, his face ripped to pieces by the killer's teeth: "The intrusive ringing of the phone at the front desk had finally stopped and the [office] was quiet and still, at least for the time being," Burley writes. "The only sound in the room was the shushing cadence of breath that slid slowly in and out of each chest but one." These are excellent touches that move the novel from the category of workmanlike thriller into the more rarified realm of literature. If Burley takes the time to insert more of them in his story while avoiding the repetitions, technical mistakes and overdependence on medical jargon that occasionally characterize his first novel, he could easily collect the same sort of specialized fan base as Scott Thurow or John Grisham, except writing from the medical perspective rather than the legal point of view. I suspect that Burley spotted the weak points in his novel as it was rolling off the presses and will avoid similar errors in the future. We will know for sure when his next book appears sometime in late 2014 or early 2015. I certainly hope this is the case because Absence of Mercy, despite its flaws, is a fine first effort that has much to recommend it. Burley will appear at a book signing and reading at the Capitola Book Cafe in Capitola, California on Dec. 12th, 2013. He will read from The Absence of Mercy, sign books and answer questions about his debut thriller beginning at 7 p.m. that evening. Marriage seems to agree with Navajo Nation Police Sergeant Jim Chee: in Spider Woman's Daughter, the latest in the series of adventures featuring Chee and his former boss, retired police Lieutenant Joe Leaphorn, he is lighter-hearted, wittier and less solemn and full of self-doubt than he has been in the duo's earlier stories. You can credit the change to new management: the Chee-Leaphorn franchise was begun by Tony Hillerman with The Blessing Way, a book that focused on Leaphorn alone, in 1970; Chee joined the series in 1986 in the novel Skinwalkers, and the pairing continued until Hillerman's last book, The Shape Shifter, which appeared in 2006, three years before Hillerman died. 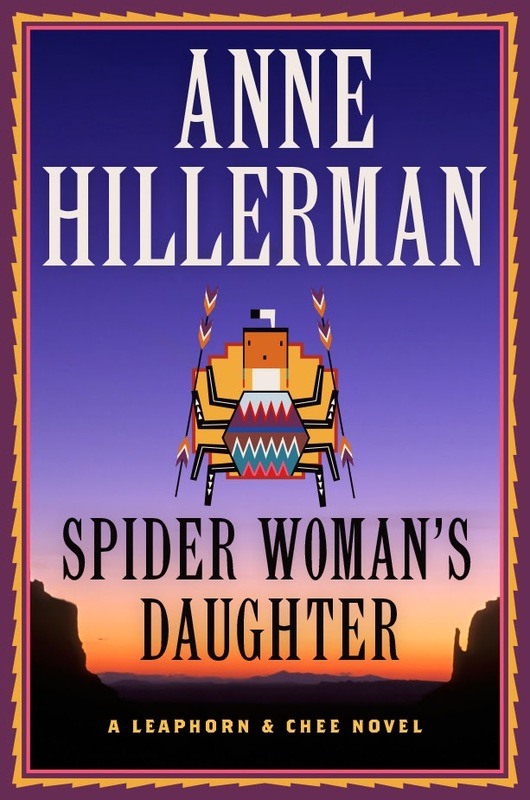 Now the continuing saga of Chee and Leaphorn is continuing under the capable stewardship of Hillerman's daughter, Anne, whose first novel is Spider Woman. Ms. Hillerman says she allowed herself to be coaxed into picking up her father's franchise "when I emerged from the worst of my grief after Dad’s death [and] realized that I was also mourning the end of his mystery series. I missed those detectives." Sometimes change is beneficial. 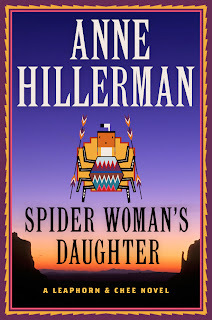 In Spider Woman's Daughter, Anne Hillerman continues the thread begun by her father ably, building on his original collection of characters and adding to them in a sure-handed fashion that gives the reader hope the series will continue for many more years. Of particular note is the fact that the new book builds on the character of Bernadette (Bernie) Manuelito, a Navajo Nation police officer who became Sergeant Chee's romantic interest in The Wailing Wind and married him just before the events described in The Shape Shifter. Much of the action of Spider Woman transpires from Bernie's point of view, and both she and her husband play a critical role in its resolution. The two newlyweds have plenty to keep them busy in this novel, which begins with a deadly shooting in the parking lot of a coffee shop where members of the Navajo police meet regularly to discuss cases and brainstorm investigative techniques. Bernie is on the phone with Chee at the time and sees the crime committed. Because she is a witness, she is precluded from helping in the investigation, but finds ways to do so nonetheless. In the course of the novel, Manuelito and her husband search for the killer while dealing with a missing friend, untruthful witnesses, family relationships and a cat that unexpectedly adopts them. We are introduced to members of Bernie's family, including her resentful and alcoholic younger sister and her aged and somewhat infirm mother. The fractious relationship between the two sisters -- who share unequal burdens of caring for their mother -- is deftly handled and will surely remain a running plot element if Hillerman continues the series beyond this novel. One or two characters appear to have been included primarily to provide mild comedy relief. One of them is Gloria Benally, whose car originally appears to be a significant clue to the shooting mystery, but eventually is revealed to be relatively unimportant. The officer's contact with Benally and her continuing effort to recover her vehicle -- which has been booked as evidence -- provides a running gag in Spider Woman. Benally could have been mentioned and quickly dropped: remember that her vehicle is a dead end for the investigators. That she isn't quickly shuffled in and out of the book is worth noting: Anne Hillerman's father knew there is more to police work than efficiently tracking down suspects and witnesses. Sometimes a cop's encounters are utterly random, but demonstrate the strangeness of a job in which one routinely becomes injected into other people's secret lives. This is the phenomenon that one of James Ellroy's characters refers to as "the wonder," and it is one of the elements that professional snoops like police officers and news reporters find completely addictive. Tony Hillerman was familiar with "the wonder," and his daughter understands it, too. She has no fear in examining quirky events and characters who make her story unfold at what may seem to some readers a leisurely pace. Not every clue in a mystery should lead to an arrest, and not every interview turns up critical evidence. Sometimes these things simply provide the background necessary to understand the circumstances of the story and the place where it occurs. In the Chee-Leaphorn universe, that sense of place is critical: Tony Hillerman, a transplanted midwesterner who resettled in the Southwest and used it as the backdrop for his stories, conjured the setting admirably in his novels and his daughter does the same in this, her premiere novel. The reader can almost see Shiprock, the massive paleolith that dominates the landscape, smell the dry dust stirred by windstorms and hear the startled yelp of a hidden coyote as the breeze rustles the silence of the Southwestern desert. Not that Spider Woman consists solely of colorful scenery, quirky characters, humorous situations or investigative dead-ends. There is plenty of action that plays out against the background of a fraudulent trade in precious indian artifacts and the sort of Navajo tribal lore and mythology that Hillerman fans have grown to expect and love. The plotting is solid and the story rolls along at a sufficiently breakneck pace that I sat in bed and glommed it in a single sitting, starting at 11 in the evening and ending around four the next morning. There also is plenty of head-scratching mystery, although a couple of the red-herrings that have been inserted to mislead readers will probably fail to throw them very far off the track. There are also flaws, though none of them prove fatal to enjoying the novel. As a first-time novelist, Anne Hillerman leaves some plot holes that probably would have been eliminated by her father. One of them involves a villain's back story which is too wildly coincidental for my comfort. Another is the fact that a key character was tangentially involved in an earlier murder case that is referred to in the story line, but for some reason, Chee fails to make the connection. Finally -- and perhaps most tellingly -- Jim Chee becomes suspicious of a key character toward the end of the book but inexplicably is caught unprepared when the villain pulls a weapon on him, temporarily taking him out of the action. Bear in mind that this is a seasoned lawman who has been involved in fifteen other adventures, some of which involved considerable danger. Despite this he is utterly unprepared when the villain strikes. Equally unlikely, only a few pages further on, his wife Bernie -- who has worked for the Border Patrol as well as the tribal police -- does almost exactly the same thing. These errors are out of character and necessitate a nail-biting rescue sequence that seems rather clumsy and unbelievable in retrospect. Fortunately, the author manages to find a way for her protagonists to wriggle out of the jams and avoid tumbling into the plot gaps. The novel's conclusion is completely satisfactory and ties up all the loose ends neatly. More importantly, it leaves the reader with the sense that the series will continue. For Chee and Leaphorn fans, this is good news, indeed. Jack Brigance, the small town attorney created by John Grisham in his first book, ATime to Kill, is back. Even though the holiday is more than a month away, Grisham fans should be walking around with big Christmas grins on their faces. Grisham's latest novel, Sycamore Row, a sequel of sorts to his first book, is set three years after the Carl Lee Hailey trial that brought Brigance a measure of notoriety but little else. The young lawyer still lives with his wife, Carla, and daughter, Hannah, in Ford County, Mississippi, in a rural redoubt called Clanton. The Brigances are wedged into a cramped rental because their family home, firebombed by Klansmen during the first book, has never been replaced: Jake's insurance carrier didn't even offer him enough money to pay off the two outstanding mortgages on the property, let alone rebuild it. Brigance is hustling work where he can: "chasing ambulances" as he puts it in hope of turning up a client or two. He spends his time defending drunk drivers, handling minor civil disputes and pursuing a lawsuit against the insurance company that covered the home that was destroyed by Klansmen in A Time to Kill. Carla, a teacher, holds the family together with her salary -- barely -- and Jake is depressed and discouraged. He is literally living from hand to mouth, and is behind in his rent to Lucien Willibanks, the disbarred alcoholic who owns the building that houses his offices. Then out of the blue Jake gets a posthumous letter from a dead man, Seth Hubbard, a man he never even meet when Hubbard was alive. Hubbard, a businessman and terminal cancer victim who has just hanged himself to end his pain and misery, says in the note that he wants Brigance to defend a will he wrote secretly only a few days earlier in which he leaves almost his entire $24 million estate to Lettie Lang, the black woman who has worked as his housekeeper for the last three years. Jake takes the case, looking forward to a temporary respite from his financial problems. But almost immediately vultures begin to circle in the form of a veritable army of lawyers representing the dead man's children and grandchildren, all of whom have been cut out of the Hubbard will without a penny. In order to defend the will and insure the dead man's wishes are enforced, Jake must not only learn why Hubbard left almost his entire fortune to Lettie, but he must try to track down Ancil Hubbard, the dead man's brother, who fled the area when he was only sixteen after he and Seth were witnesses to something so shocking and horrible that Ancil could no longer bear to remain in Ford County. Much of Sycamore Row is taken up exploring the strained relationships between Hubbard and his kin and describing the often fractious nature of Lettie Lang's marriage to Simeon, her petty criminal husband. Lucien, fascinated by the case, emerges from his self-imposed exile from the community and the law to research the property transactions behind Seth Hubbard's massive holdings and to search for Hubbard's long-missing brother. 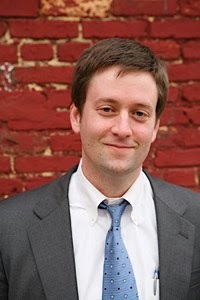 There is plenty of jousting between Jake and the other lawyers, who engineer a legal bushwhacking by withholding the identity of two key witnesses until late in the trial -- a dirty trick, incidentally, that would probably be blocked by the trial judge in almost any jurisdiction. The last thirty pages of the book is largely taken up with courtroom maneuverings and Grisham, as usual, handles them superbly. One surprise twist is piled on another as the book dashes to its conclusion, and, although Jake is able to take advantage of a last minute development that would be even less likely to be tolerated by a trial judge, the book rolls to a shocking but satisfying conclusion. John Grisham returns to tiny Clanton, Mississippi in his latest, "Sycamore Row." As I have already noted, to call some of the legal stratagems described in Sycamore Row fantastic is an understatement. Key elements of the plot turn on sheer coincidence, which weakens the story and distracts the reader from what is otherwise an excellent bit of storytelling. 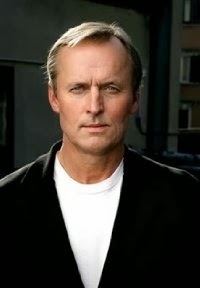 On the other hand, this is fiction, not a how-to on court procedure, and Grisham makes a real effort to make the unlikelier elements of his novel believable by crafting the book's back story carefully, making the main characters' motivations clear and acknowledging the occasions when he stretches the reader's credulity. This effort ameliorates the story's weaknesses considerably. 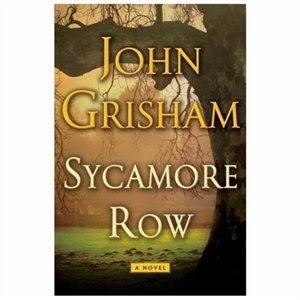 But what really sells Sycamore Row is the careful manner in which Grisham has drawn his characters. Even those who have minor cameo roles are presented as individuals with personal quirks and idiosyncratic speech patterns. It would have been easy to write the novel without these bits of detail and description, sticking more strictly to the legal procedure and dumping in a platoon of characters whose roles in moving the story forward are relatively minor. But if he had followed that path, Sycamore Row wouldn't be the same book -- and it wouldn't be nearly as good.